Long before we opened Cook St. Liquor in the Cook Street Village we we had a VQA Wine Store that specialized in BC wine. 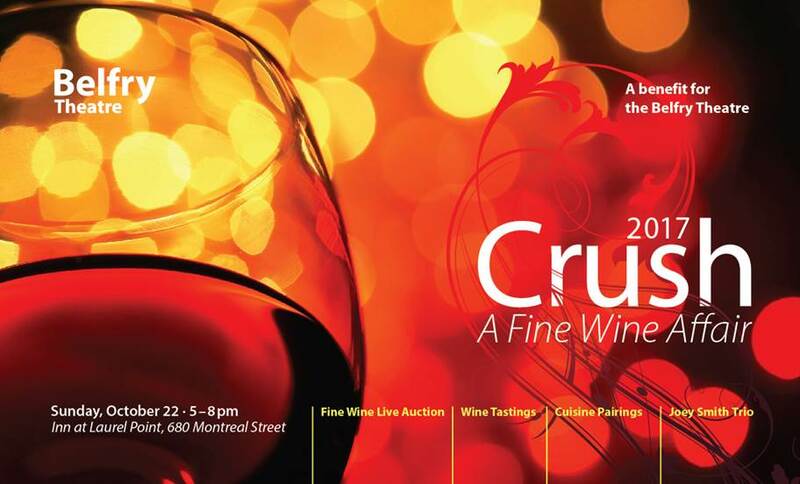 Wine has always been a passion for us, so we are happy to be helping support Crush: A Fine Wine Affair, a benefit for the Belfry Theatre that will be held at the Inn at Laurel Point Sunday, October 22, 5-8pm. 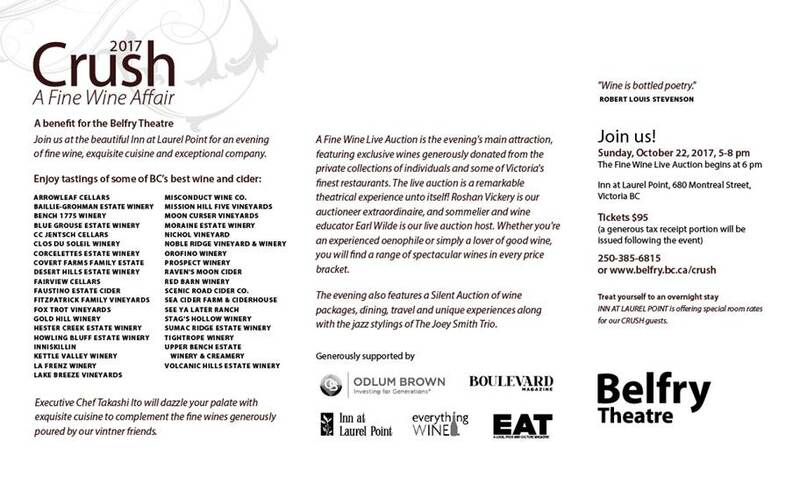 Dozens of BC’s finest wines will be poured, there will be a live auction as well as a silent auction and plenty of tasty bites provided by Chef Takashi Ito of Aura. Tickets are $95 each and are available here.